JAVA - 2018 DECA Carbon fiber wheelset For road bike - 1620 grams/set, super smooth and loud, ur best training options. Specification: -Rim ：DECA Carbon fiber Toray T700 ,50mm depth, 700c (Clincher) . -Spokes: DT SWISS rounded. -Front Hub：DECA Seal bearing , 20 Spokes. -Rear Hub：DECA seal bearing, 24 Spokes -For Cassette body: Shimano 10 ~ 11 Speed(Default) -Weight： 1620g ( Front: 730g , Rear: 890g). For DECA hub, manufacture by CHOSEN hub factory.- Super smooth and loud. Follow us for more products and the latest news : 📣 Official website @ http://www.mrbicycles.com. 📣 Facebook @ https://www.facebook.com/Mr.bicycles/ 📣 Instagram @ https://www.instagram.com/mrbicycles_sg/ We are the one who built a simple, colorful, durable bikes for all cyclists. 《MR.BICYCLES》 : ✅ Quality control done locally in Singapore at our own warehouse. ✅ Final quality check by our mechanic upon purchase. ✅Combination of Online and Offline to ensure all product's quality assurance. ✅We have a physical warehouse for you to come down to test ride before you purchase(Address: Pose code- 575654). ✅All products are directly imported from qualified manufacturers.Besides, We are able to save more for you since Carousell has no transaction fee for each sale you make but other online shopping website does. ✅We carry brands -- Tsunami, Aventon, Leader, Throne, Gray, Cohesion, Song & Friends, Skream, Unknown, Rinpoch, Cinelli, Zero, VISP, Diamond, Aoeagle, Hplusson, Sram, Izumi, Prowheel, OTA, JAVA, Twitter, Tropix, SHIMANO and more options as lists. 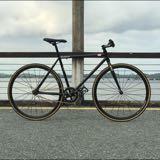 To make your bike uniquely yours, customized color and Mods also available upon request. ✅Please simply PM us(highly recommended) for reservations & enquiries or Text 85333908 if any urgent case. ------------------- Warranty: Mr Bike warrants the frame and fork of MR bicycles to be free from defects in material and workmanship for a period of (1) one year from the date of purchase. All other components and all repair parts, replacement parts, and accessories are warranted to be free from defects in material or workmanship for a period of (30) thirty days from the original date of purchase. Labor, assembly, packing, delivery costs are not covered by warranty. Wear and tear parts like chains, bearings, wires, tubes, tires, paint/decals, crossed/stripped threads on cranks, pedals etc and broken derailleur hangers are not covered by warranty as these are user/maintenance issues. Cosmetic issues are not covered such as stains, scratches, chips, tears etc. Damages due to impact, accident, road/trail hazards are not covered. At our option, we may require the whole bicycle be submitted for warranty inspection. Limited Remedy: Unless otherwise provided, the sole remedy under the above warranty or any implied warranty is limited to the replacement of defective parts with those of equal or greater value at the sole discretion of MR Bicycles. You will be responsible for labor costs associated with warranty replacements. IN NO EVENT SHALL MR BICYCLES BE RESPONSIBLE FOR INCIDENTAL OR CONSEQUENTIAL DAMAGES, WHETHER BASED ON CONTRACT, WARRANTY, NEGLIGENCE, OR PRODUCT LIABILITY, OR ANY OTHER THEORY, INCLUDING, WITHOUT LIMITATION, PERSONAL INJURY DAMAGES, PROPERTY DAMAGE, OR ECONOMIC LOSSES. 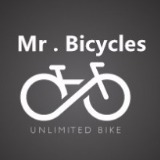 -MR BICYCLES On The Way To Be Ture Self.